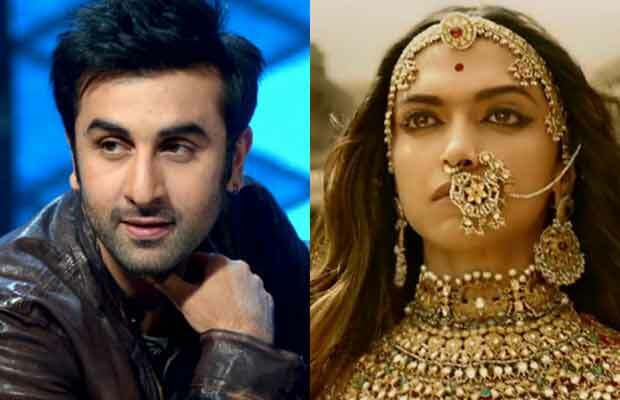 Ranbir Kapoor Reacts On Deepika Padukone’s Look In Padmavati, Says He Is Dying To Watch The Film! Ranbir Kapoor is very pleased by the looks of the leads of Padmavati including Deepika Padukone. Sanjay Leela Bhansali’s Padmavati is probably one of the most awaited films of the year. The period drama has already created a lot of buzz amongst the audience. Especially after the first looks of the main leads came out – Ranveer Singh in the wicked look of Alauddin Khilji, Shahid Kapoor as the perfect king and Deepika Padukone in the avatar of most royal and ravishing queen ever! It has flattered everyone including the Bollywood actor Ranbir Kapoor. The actor was at the Jio MAMI Film Festival a few days ago, where he interacted with media. He talked about how the competition media inspires him to do more. And that’s when he mentioned Deepika’s look in Padmvati. This was before the trailer of the film was released. We wonder how Ranbir would have reacted after seeing the power-pack trailer! Padmavati is releasing on December 1, this year. Next articleBigg Boss 11: Vikas Gupta Breaks Down And Locks Himself In The Bathroom- Watch Video!